Truth be told I rarely deep fry food. It’s just not how we normally eat in the Boulder Locavore household. Having said that, I end up making a few recipes a year requiring deep frying and my family is always in heaven when I do. I am sure to use lighter, non-GMO oils that perform well at high heat without imparting much flavor to the food. Sunflower oil is my normal go to. Gluten-Free Churros is on the top of the list. 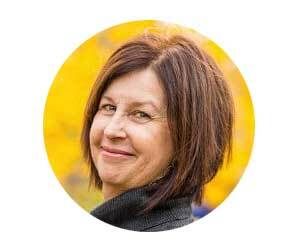 I’m sure any day will be better if I make them (and from the emails and comments I’ve gotten, it seems many gluten-free readers have found the same to be true for them!). Churro Fried Ice Cream is a close second! By the way if you’ve never had fried ice cream, you must try it; cold, creamy ice cream coated with a sweet, hot, fried batter. It’s the best paradox you’ll ever eat! 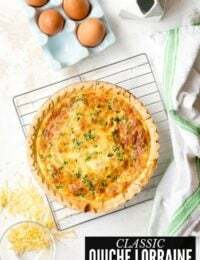 Cooler weather is coming, football season is almost upon us and I’m careening toward sharing another recipe inspired by our Canadian Maritimes road trip. 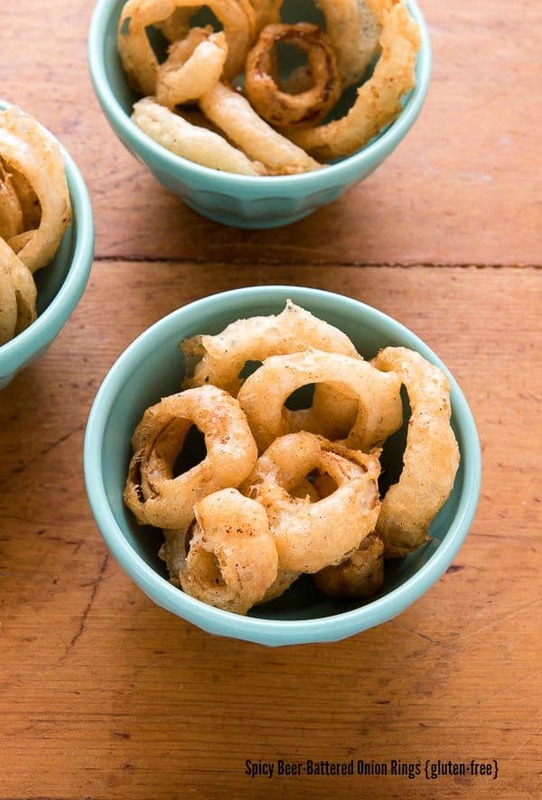 All paths have led to making Spicy Beer-Battered Onion Rings which are gluten-free! 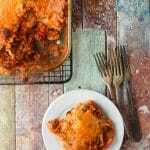 Swapping in gluten-free flour for regular flour in the case of battered, deep fried foods seems easy enough. However in my experience, the gluten-free flour density and the type of beer (and even the heat and humidity) does provide flexibility is often needed to get batter just right. I’ll share some notes from my experimentation in the recipe itself but the end result is worth it. 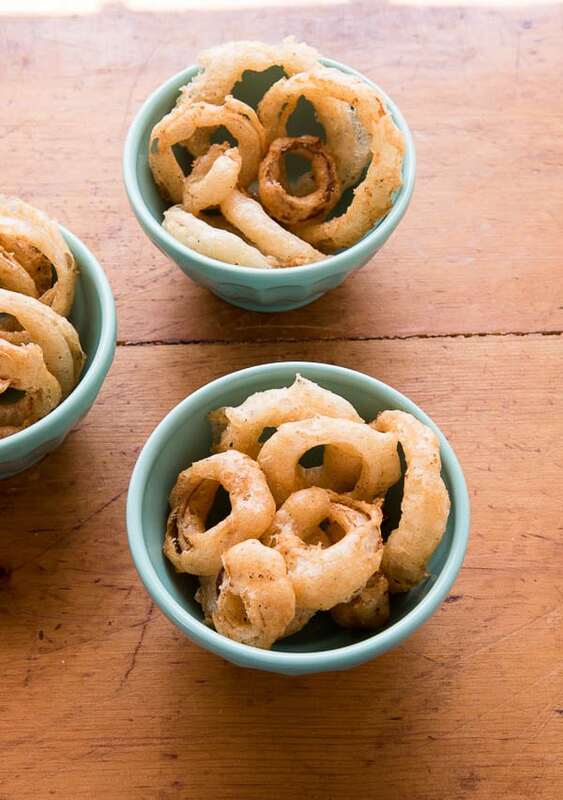 Light, crunchy onion rings with a slow after heat from cayenne pepper. They aren’t uber spicy, just enough to catch your attention! Though I’ve made these in traditional rings, cutting the onion vertically in wedge-shapes offers the option to make curved onion strips perfect for dipping. 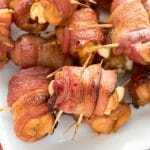 The frying process is the same and creates a totally different appetizer. A fun change up for fall entertaining! Deep fried foods are always best hot out of the pot with a few minutes to cool. If made too far in advance they lose the crispy, crunchy effect that makes them so irresistible! There is nothing like deep fried food, even if it’s only an occasional treat! Unfortunately not many such recipes are available to those gluten-free especially with a beer batter. 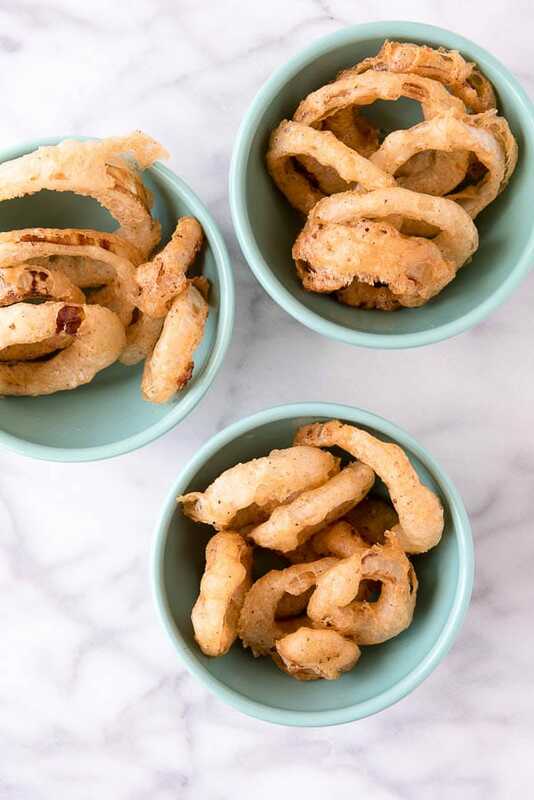 These onions rings were created exclusively with gluten-free flour and gluten-free beer for a slightly spicy, crunchy, irresistible end result! While developing the recipe I found different GF flour blends and different GF beer can make a difference with the amount of beer required to make a thin batter that is not watery, but not so thick it cannot coat the onion rings easily. The recipe calls for starting with 6 ounces of beer, and based on your ingredients, that may be enough. If not the instructions provide for how to create a batter of perfect thickness regardless of the gluten-free flour blend and beer you choose to use! For a different preparation, instead of cutting the onion into rings, cut the onion through the stem and opposite end. Place the flat, cut side face down on a cutting board and but at an angle into 6 wedges (cutting from the stem to opposite end). Separate the onion, batter the curved pieces and fry as directed below. These will make puffy, dipable onion pieces. There is nothing like deep fried food, even if it's only an occasional treat! Pour 2-3 inches of oil into a large size heavy pan or pot. Position a cooking thermometer in the oil but not touching the bottom of the pan. 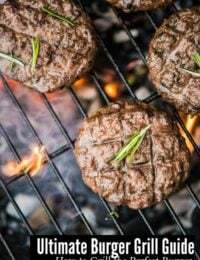 Over medium to medium-high heat, heat the oil to 375 degrees. Set paper towels on a baking sheet to drain the fried onion rings. Place ½ cups of the flour in a large mixing bowl. This will be used to toss the onion rings before battering them. In a large mixing bowl combine the remaining 1 cup gluten-free flour and all the other dry ingredients. Slowly pour in 6 ounces of the beer and whisk to combine allowing the foam to subside. The batter will be thin but not watery. If the batter is too thick to easily dip and coat the onion rings, add 3 ounces more beer; whisk and allow to sit for a few minutes. If it’s still too thick, add the remainder of the beer, whisk to fully combine. Toss a few onion rings in the flour. Note: the onion rings need room when frying so do not process more at a time than can easily move around when in the hot oil. Using heatproof tongs, dip onion rings individually into the batter, allowing them to be coated fully. Lift coated rings above the batter and allow to drain slightly. 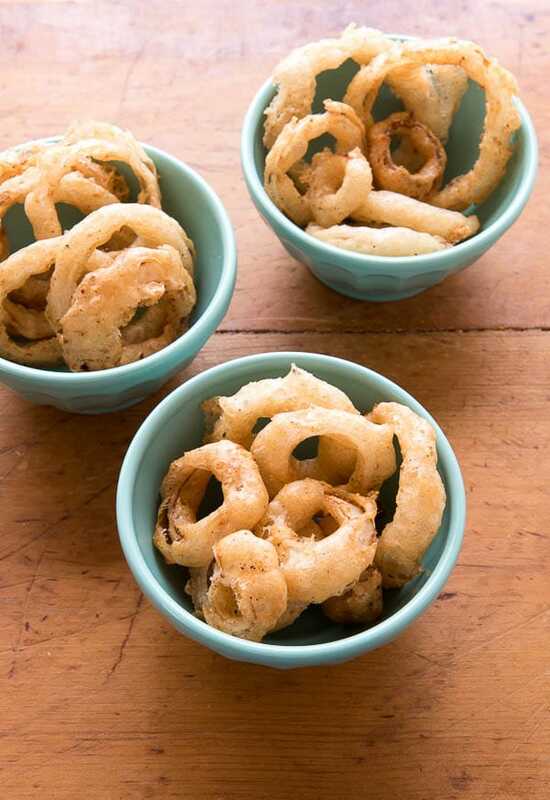 Place battered onion rings into the heated oil and cook for a few minutes until they begin to turn golden brown. Remove with tongs or a metal straining tool meant for deep frying and place on prepared paper towels. Repeat for all onion rings. Serve immediately. These photos are making me drool! Hold amazing onion rings! 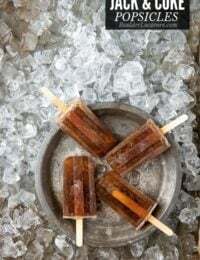 I haven’t had a homemade one in years, but these look delicious! These onion rings sound super yummy! My family would love them! Those look so good. I could go for these right now too! I love onion rings, but I rarely fry anything either. My husband would really love these, especially with them being spicy. Yum, those sound so good. My youngest has a soy allergy, and we’re finding more and more times that things are friend in soybean oil. I’ve got to try this with the sunflower oil. 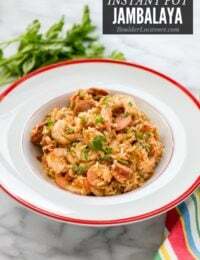 This is one of those recipes that once you make you’ll be asked again and again to make it! Looks so good! I’m going to have to make these for my husband! He is such a big fan of anything beer battered and gluten free is a bonus! My husband recently went gluten free and he is having a tough time with things like breading and batters. I will be sharing this yummy recipe with him. It can be a tough transition if your favorite foods aren’t very convertible. I guarantee he’ll never know these don’t have gluten in them! These look fantastic. 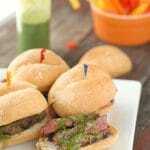 I’m on a Gluten Free diet so I’m desperate for yummy recipes like these. Those sound delicious. 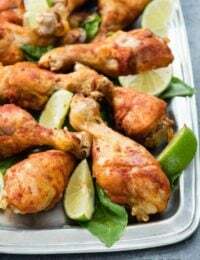 I have two good friends that are gluten free and this would be a great thing to make for our bbq night. I love onion rings! 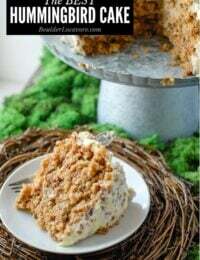 I will have to try this recipe out! Beer battered sounds tasty! These look so delicious. I love onion rings. 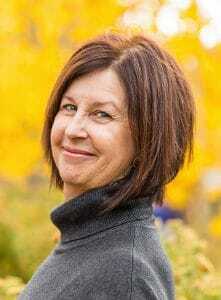 I am always looking for new gluten free recipes to try. 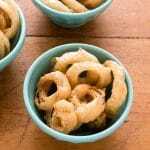 I didn’t know that onion rings had gluten but my husband loves onion rings so I will have to give the recipe a try. The batter for onion rings contains wheat flour normally Beth as well as beer batter would normally be made with regular beer which has gluten (it’s a protein in wheat, barley, rye). 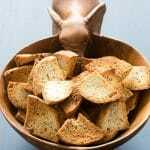 My recipe uses both gluten-free flour and gf beer so it’s ‘safe’ for those gluten-free. Thank you Debbie! They did turn out fantastic; and I can say that because I ate way more than I should have to be sure! These would be perfect for my boyfriend. Every time we have onion rings he uses this really spicy sauce. These look like really good onion rings. Now my daughter can enjoy onion rings even though she is gluten free. Geez, these looks so good! I’m going to have to try and make my own. I’m scared, I won’t stop eating them. These sound and look yummy. I have been cutting out gluten so this is perfect. Thanks for the recipe. 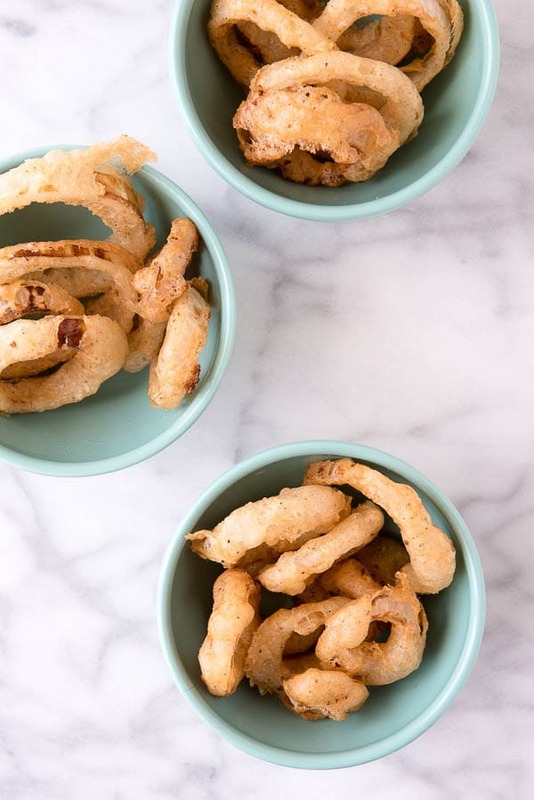 I know once I got started with these little guys I would not be able to stop — I don’t think I’ve ever had spicy onion rings, but it sounds like a brilliant idea! I’m reading this while at work and starving. Bad idea as I could go for a bowl right now. A bit like grocery shopping when you are hungry? And I suppose pulling out a deep fat frying and whipping up a batch is out of the question! The rings look tasty. Gluten-free is a concept I don’t have to worry about, but I do like the idea of adding spice to the batter. Thanks for the inspiration! These look light as a feather Toni! Good thing you put my rings in one of those bowls to remind me of portion control! It would be hard to stop eating these I’m quite sure.